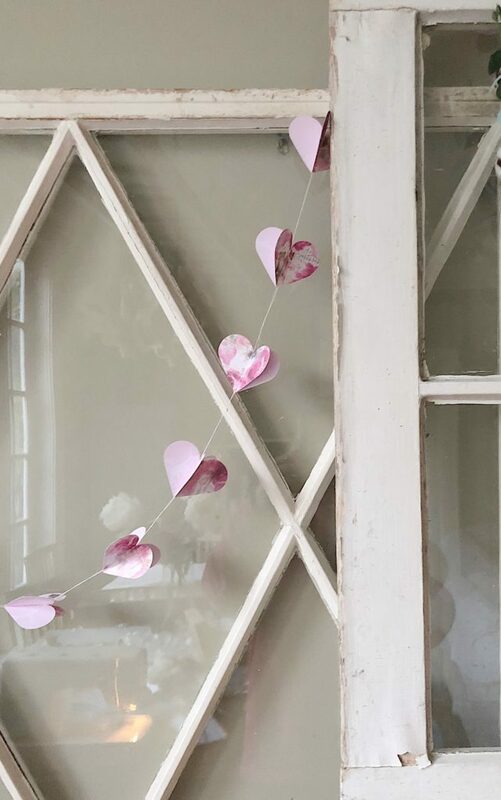 I made a simple Valentine Heart garland out of scrapbook paper. I love how it looks on my vintage white windows. And it was incredibly easy (as in no cutting!) because I used a hole punch. 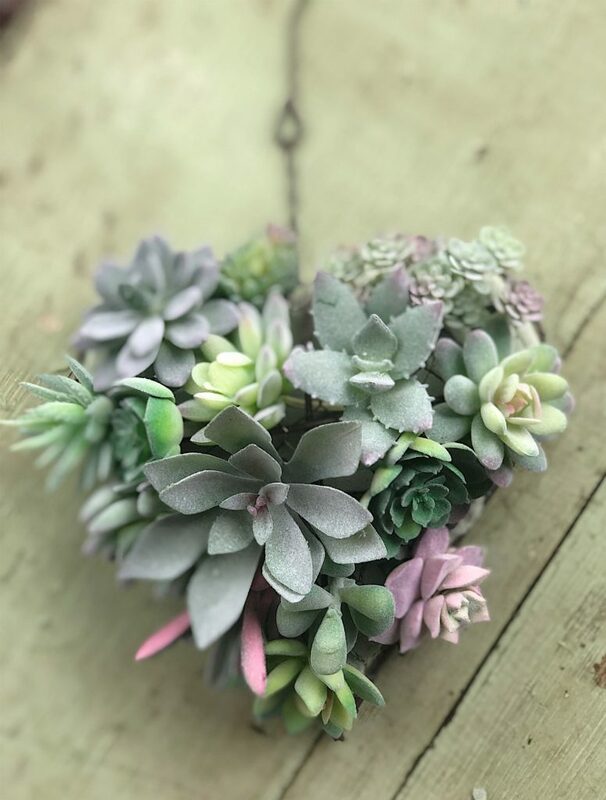 I made this wreath out of faux succulents. But I also made one out of living succulents I bought this morning at the flea market. If you are looking for some ideas to set a Valentine’s table then be sure to read this blog post! 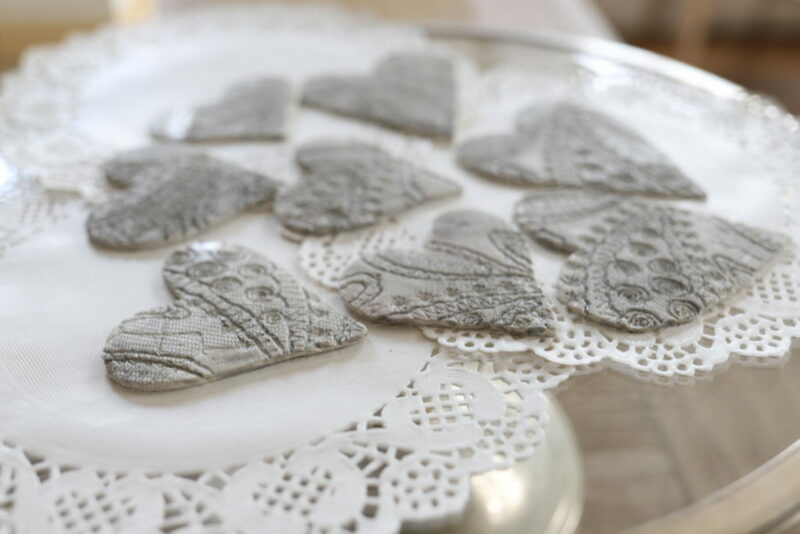 I made these clay metallic hearts as I was inspired by vintage silver heart shaped lockets. These were so easy to make and I love them! 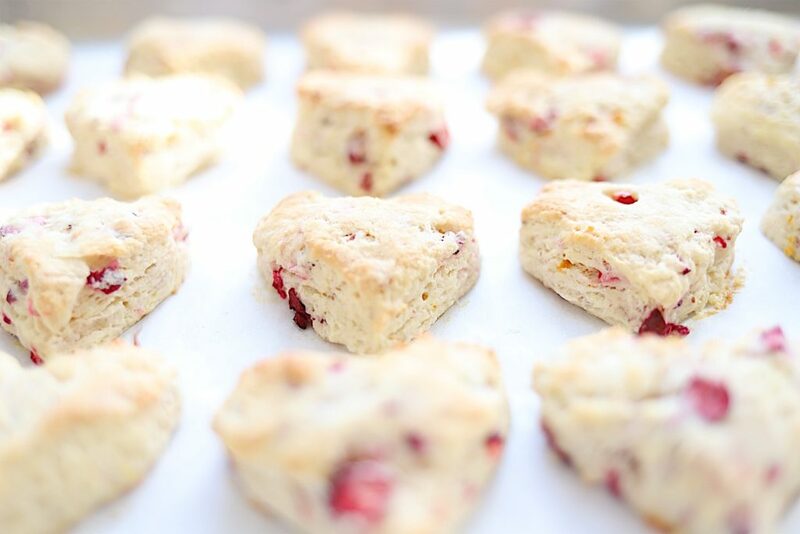 I can’t even begin to tell you how good these scones taste! They are the perfect breakfast treat to make for your Valentine! 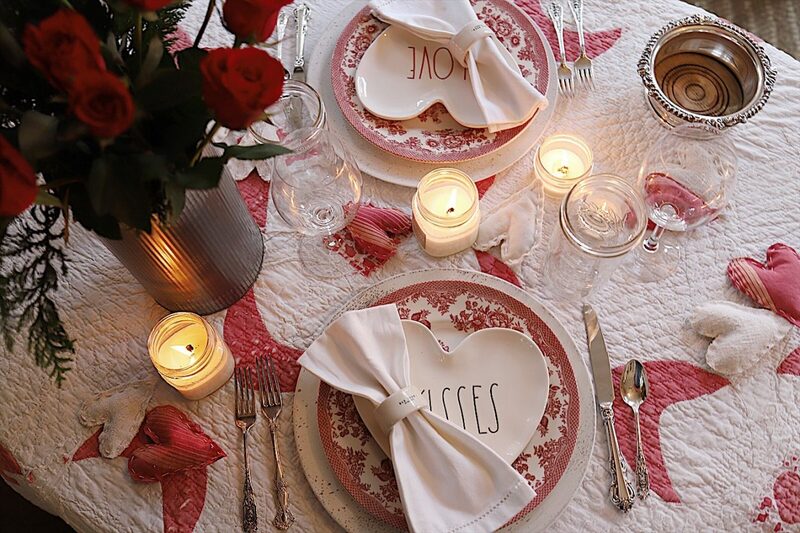 It’s always fun to treat your Valentine to a fun dinner. 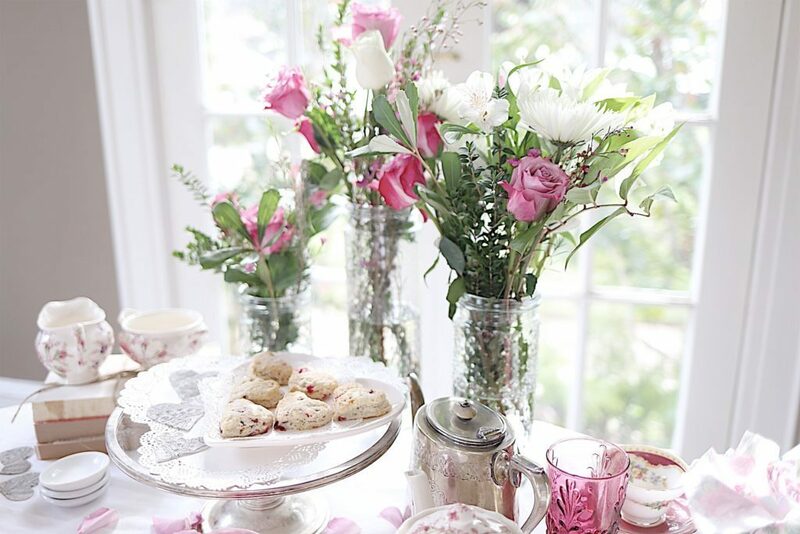 But this year you need to be creative and set your table in a very unexpected location! Read this blog post for some inspiration. I absolutely loved making the flower crate. 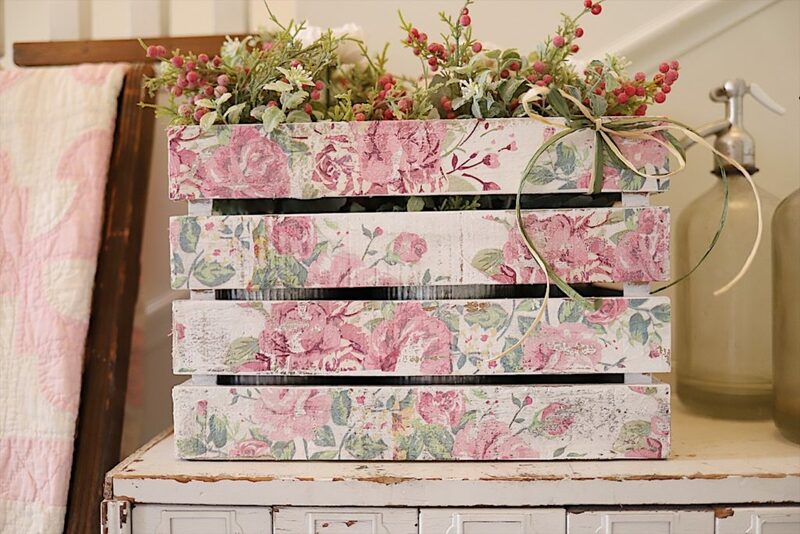 Would you believe I used paper napkins to add the design to this wooden crate! It is so easy and fun to make! 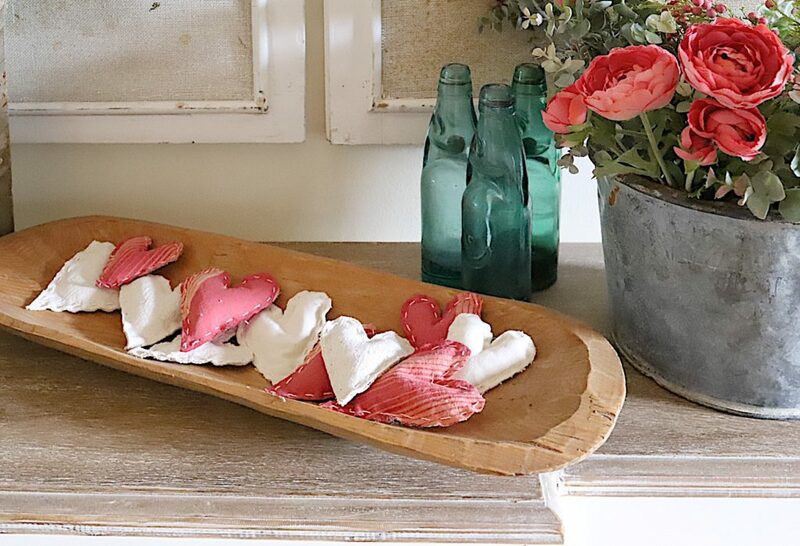 These fabric hearts are such a sweet decor item for your home or Valentine’s table. You can make these in just a few hours! I had so much fun making this pillow. 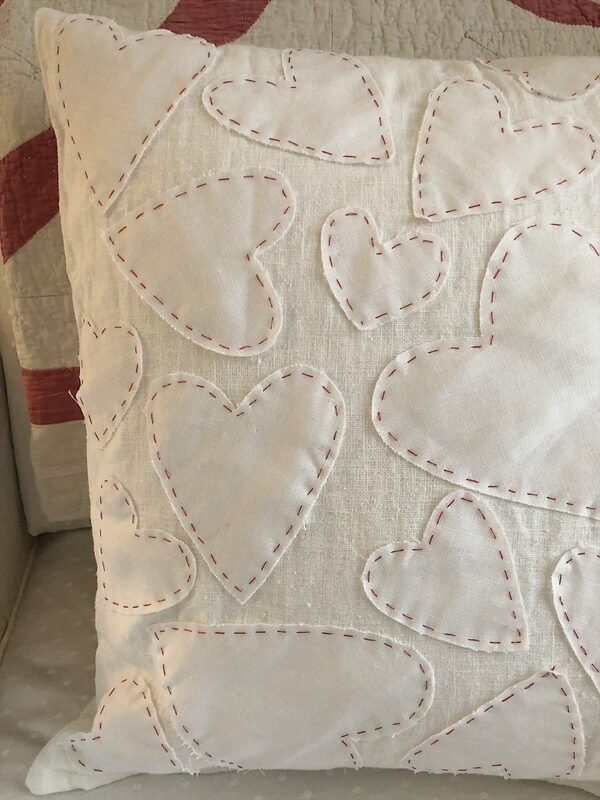 I used a premade pillow cover and sewed on the hearts by hand! You can make this easily before Valentine’s Day. I made this pillow for a Three Ingredient Challenge that required me to use fabric, paint, and trim. I painted the fabric with a vintage paint roller (on vintage fabric) and made the pom poms. This was such a fun DIY. 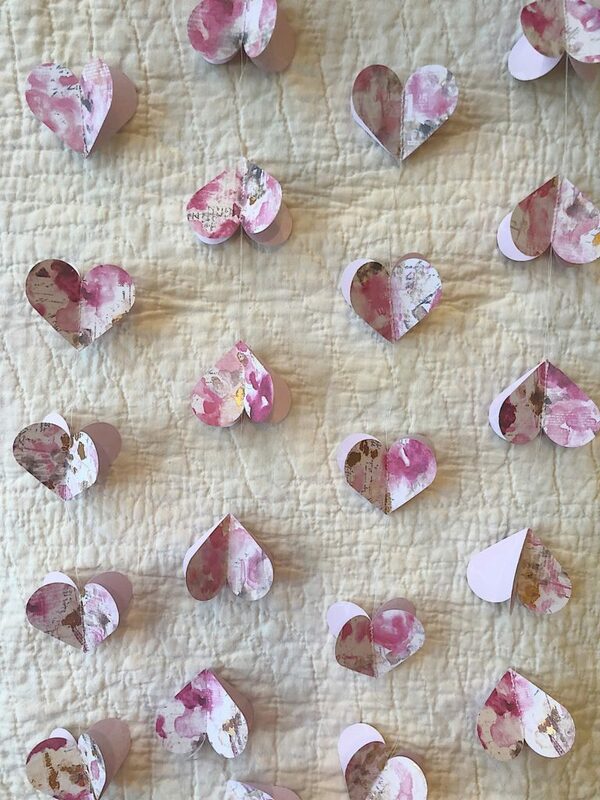 There are so many fun DIY projects linked here and I hope they are an inspiration to make your Valentine’s Day even more special! Have a wonderful day with your loved ones. 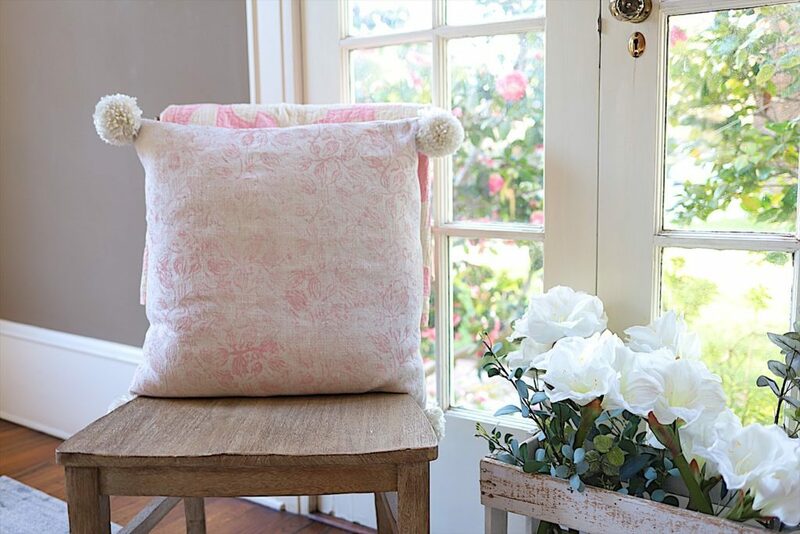 Where can I get the same premade pillow covers with the sew on heart. Are the hears from cotton or what kind of fabric did you use? Many Thanks for sharing all your awesome creation.